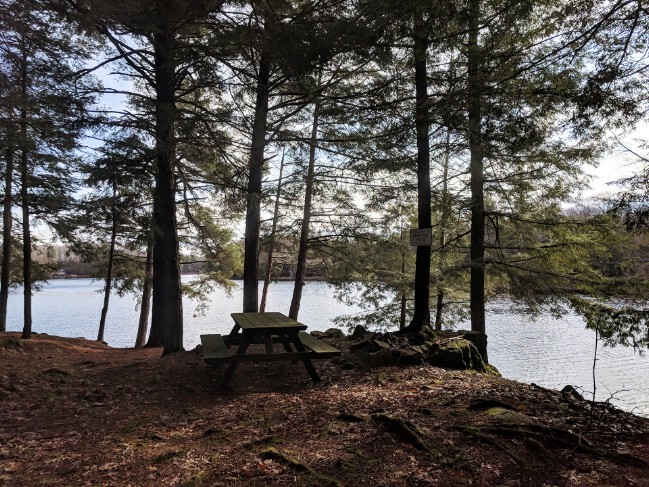 Visiting Frontenac Provincial Park in Ontario? Then you have an opportunity to book a stay at a tiny hotel called Penner Cabin. This Cabinscape resort is located in Sydenham, Ontario, and can accommodate up to 3 guests. With lakeside views and all the comforts of home, it really is a little rustic slice of heaven. Let’s check it out. 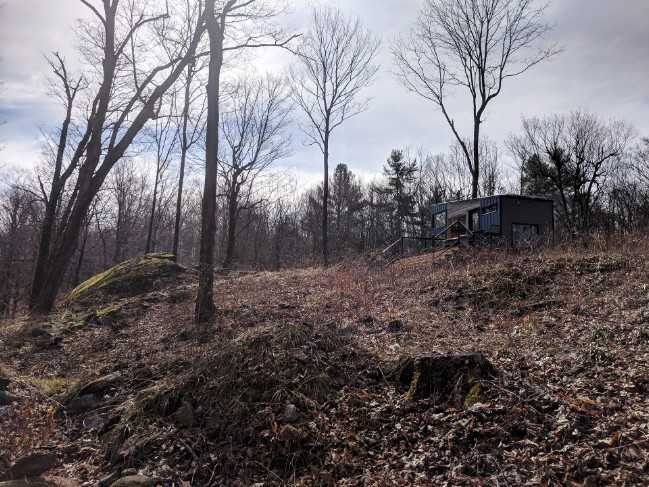 The tiny cabin is located only a few minutes away from the park entrance and the hundred or so kilometers of trails that wind through the wilderness there. Cabinscape really knows how to make the most of a rustic setting. As much as possible, the walls of the cabin are dominated by windows so that you can look out at the beautiful woods from all angles. 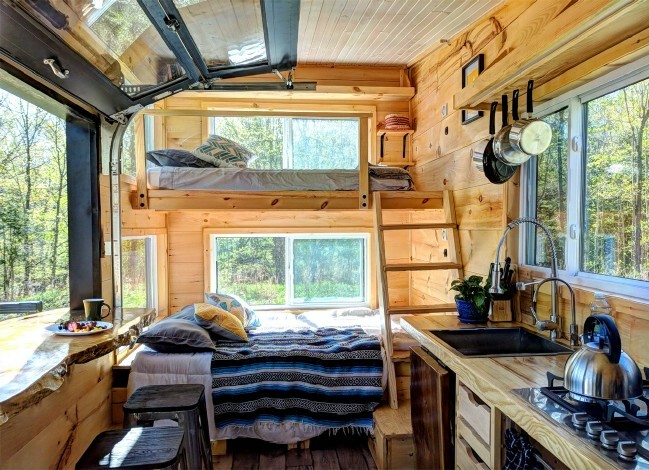 The result is that the interior of the cabin feels very open and connected to the outdoors. 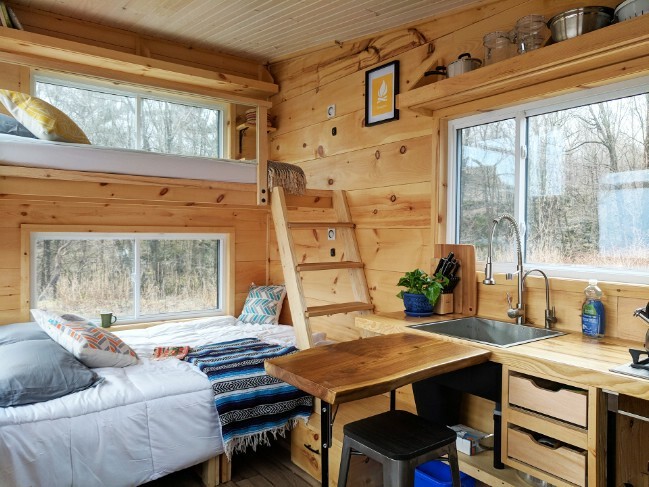 Two people can sleep in the queen-size bed on the ground level, while an additional person can sleep above in the loft. The nearby lake provides for more lovely views, plus the chance for boating and other recreational activities. 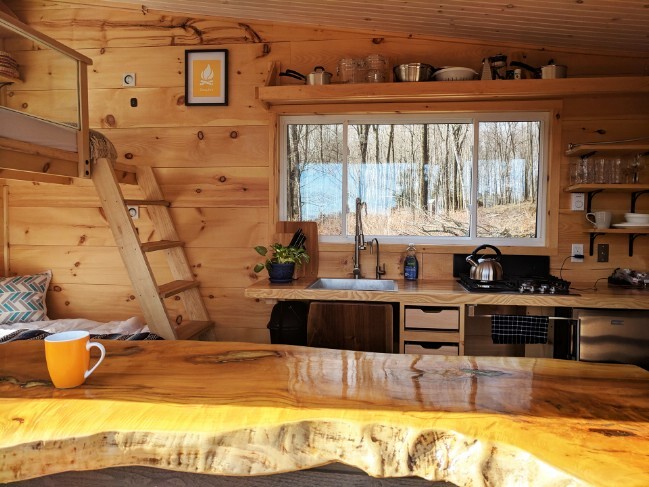 A live edge countertop complements the rustic surroundings nicely. The kitchen includes a fridge and freezer, a 4-burner stovetop, and the basic accessories you need. 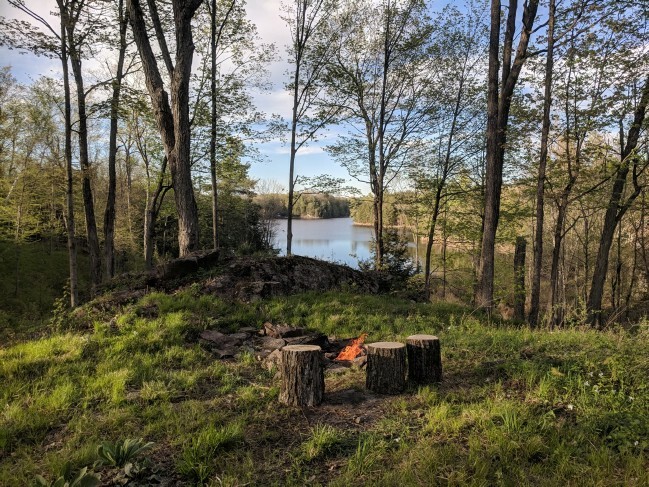 Outdoors, there is also a propane BBQ as well as fire pits next to the cabin and down by the lakeside. 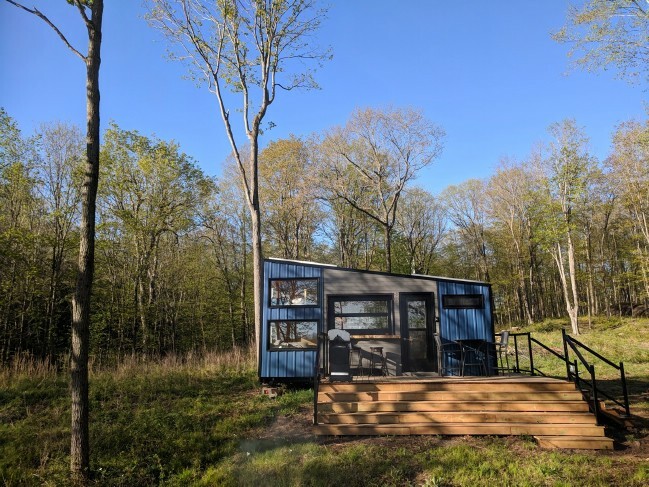 The hillside location of the tiny cabin gives it a commanding view of the lake and woodlands. The counter space can be expanded as needed. Notice also how the sink is large with a high faucet so that you have plenty of room to wash even more cumbersome dishes and cookware. 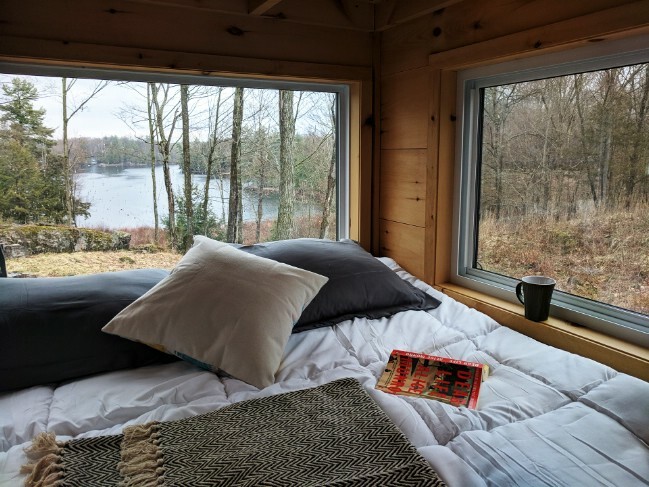 While you’d want to spend as much time as you could outdoors exploring the area, it’d be tempting to spend a lazy afternoon just lying on this bed looking out at the lake while reading a book, wouldn’t it? You could stay warm and cozy while sipping on a mug of tea or coffee. If you need to pick up groceries, you can drive 10 minutes to Sydenham village. 30 minutes away is Kingston, and 2 hours away is Ottawa. If the weather keeps you indoors at any point, there are puzzles and board games to keep you amused. There’s no cell service or wi-fi. So if you come up here, you can leave work and responsibility behind and just relax and indulge yourself in your amazing surroundings. Ready to place a reservation? Visit Cabinscape and click on “Check Availability” for Penner Cabin. 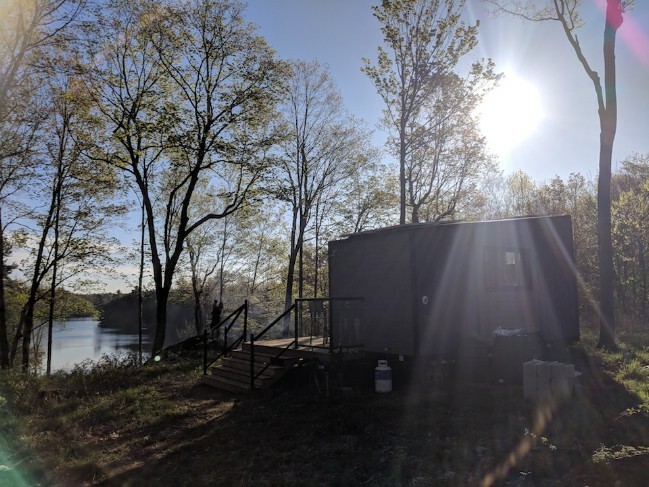 You can also take a look at the three other beautiful Ontario tiny cabin resorts Cabinscape offers!